Picture a stylish gent preparing for a night out with friends. Hair styled? Check. Tailored suit? Got it. Shoes shined? You know it. But there’s one thing preventing this gentleman’s look from being picture perfect: a classy wristwatch. As we’ve discussed in the past, mechanical watches made a comeback a few years ago despite the influx of all-singing-all-dancing digital watches. You might think a watch is superfluous, after all, you have the time on your phone, but a watch has many advantages other than simply telling the time. Watches have a fascinating history and we think this is one accessory that simply refuses to be forgotten. Here’s why a timepiece is an essential accessory for the modern gent. Most of us are guilty of looking at our phones too much as it is, so why not give yourself less reason to constantly take out your phone? 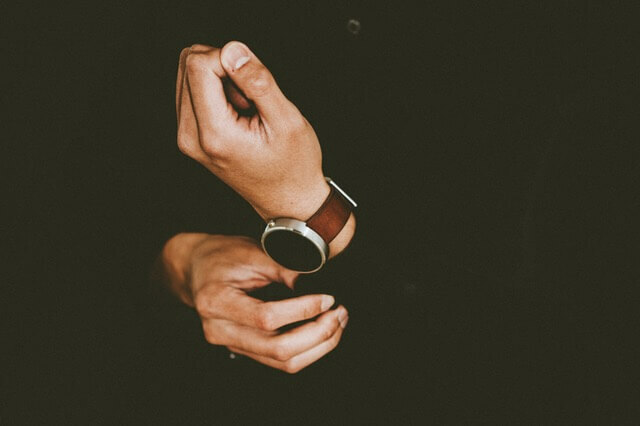 A subtle glance at a watch is all it takes to find out the time, and it’s a more courteous move especially when in another person’s company. A watch can often be the pièce de résistance to an outfit, something that turns good into great. Furthermore, you’ll find that, along with a great pair of shoes, watches get so many compliments from men and women alike – people simply appreciate a beautifully crafted item. True, it can be difficult to find the perfect watch out of the many brands and models out there, but for the modern gent, it’s hard to go past the reputation and class of the likes of Rolex, Patek Philippe, or Omega. James Bond himself is synonymous with wearing the Omega Seamaster, and there’s a man who is always looking dapper! Second-hand Omega Seamasters are easy enough to find if you’re after that classic style and wish to save some money. The great thing about a wristwatch is its ties to history. Buying a brand new watch is of course totally acceptable, but there’s a certain charm to wearing a watch previously owned by your father or grandfather – it’s a way to remember family members in a small but significant way. Then, perhaps, it could be something to pass on to your own son one day. When was the last time you went diving with your smartphone? Probably never if you wished to use it again when you’re back on land! Other than simply looking gorgeous with your outfit, a wristwatch can also be a useful tool for diving, as well as being more convenient for timekeeping during fitness activities such as jogging. We think every modern gentleman looks far better wearing a wristwatch, so why not see if you agree.